Last Spring, I had the opportunity to listen to a presentation by Brian Callahan, the Director of Fun at New Belgium Brewery in Fort Collins, Colorado. Amidst a number of entertaining and enlightening anecdotes about the company and its history, Brian made an insightful statement that struck me as applicable beyond business. He had been asked by another member of the audience to define what makes a person a VIP for New Belgium. Brian replied, "[A VIP] would be someone who can influence sales." He elaborated on what that meant, as far as business, but that initial sentence resonated with me and I considered its implications. We, as individuals, are each the product of our life’s manufacture. We build and advance ourselves as we strive to reach for goals and connect with people. Considering that perspective, one might say that many of our interactions in life are opportunities to market who we are. I don’t mean that to say that we are selfishly promoting our “product” (self) in competition with other “products” (other individuals). What I mean is that each new interaction is our way of presenting our product and how it might integrate with the current scenario or individual. If who we are is our life’s product and new scenarios are our opportunities to utilize -- or at least better understand -- our product, then I posit that our personal VIPs are those individuals who can influence those sales opportunities. VIPs help us by providing feedback about our product. VIPs tell us about features we may have overlooked or that we underestimate. VIPs communicate with others about our utility and, as a result, provide new markets in which to promote and understand our product. We share a bit of ourselves with every person in our life. The individuals we meet in life each have a different perspective on who we are. Some individuals have earned titles of trust: “friend”, “lover”, “companion”. The individuals who help you find new opportunities to understand and improve who you are “very important people”. Some people come into your life simply to make a transaction; to receive some specific use from your product or service in exchange for some specific use of their own product or service. Those people are merely customers and consumers. The people who form lasting relationships with you, bond with you, and feature you as a valued part of their life are “very important people”. 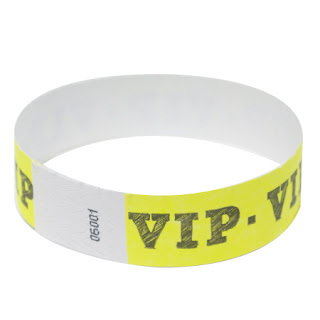 So, who are your VIPs? Today is Thanksgiving in the United States of America. A day when many people spend some time with -- or at least thinking of -- the people they care about most in life. As you consider the influences and significance of the people in your life today, pay special attention to your “very important people”. Who is it that has special understanding and access to the true nature of who you are? Who promotes you, uplifts you, and encourages you to explore new possibilities? Who gives you goals to aim for and benchmarks of growth? Who values you more than just a transaction of interaction and utility? Who wears your brand, talks about your achievements, and visits your events as if they were their own? Who provides constructive feedback to you, about both your successes and about your opportunities for growth? VIPs can influence your sales. Therefore, put special attention into the people who will improve and build up who you are. Recognize and acknowledge your VIPs. Connect with them and tell them “thank you” for being very important people in your life and for helping you to discover, explore, investigate, and promote who you are as a person and connecting you with opportunities in life. Today, it is again the fifth of November. A day during which I like to consider my place in society and society's place within myself. In previous years, I've used this day to prompt discussions regarding privacy, surveillance, control, and even a bit about setting boundaries. This year, I'd like to discuss the importance of questioning established systems. I've written before about the costs and concepts of tradition and complacency before, emphasizing the benefits of critical thinking and asking "Why?". Of the results summarized by Hank, one significantly caught my attention: "Subjects are more likely to comply with orders if they didn't see anyone else disobeying, no role models of defiance." (You'll notice that it was Hank's words within that video which inspired this article's title and prompted its contents.) When I first heard those words a couple years ago, the gears began turning in my mind. What does it mean to be a "role model of defiance"? Do we have any or many in our society which stand in such a role?